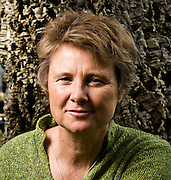 Janine Benyus, Biologist, and author of "Biomimicry: Innovation Inspired by Nature". Photographed in San Rafael, CA for Fortune Magazine. To see a larger version of any photo, please click on a thumbnail image .